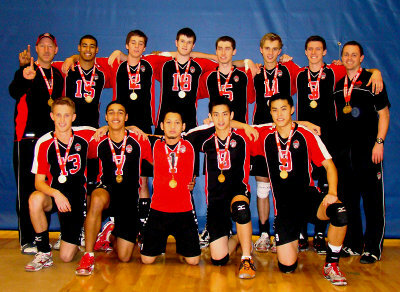 The U18 Boys started the OVA season on a very positive note with a Gold medal in the Tier 1 tournament at Niagara College in Welland on December 11. It was a long day, with the team winning all of their games, then defeating last year’s Provincial Silver Medalists, MAC, in the final match. Well done boys!